We have two environments, the outside one, and an inside one. Our gut is a major interface with the outside world. It is responsible for digesting our food and absorbing the nutrients. It also has the very important job of keeping out nasties that might hitch a ride on our food. This could be toxins, bacteria, yeasts, parasites, synthetic substances. These are stopped at the gut wall, neutralised and eliminated. Sometimes the gut wall can become damaged due to inflammation from food intolerance, infections, toxins or the big one, stress. Our inner environment can become unhealthy, leading to many health concerns. Intestinal permeability is a situation in which the gut wall becomes compromised. Foreign particles, microbes and toxins can get through and reach the blood stream. This can set off an immune reaction or inflammation any where in he body where there might be a weakness and illness results. The guardians of our inner environment and protectors of the gut are the bacteria, viruses, yeasts, arachaea and parastites that make up our gut flora or “microbiome”. When we have good gut flora diversity and lots of “good bacteria” the gut remains in balance, all is well in the world. If the gut flora get out of balance due to stress, antibiotic use, toxins, lack of sleep etc then the gut becomes compromised, we no longer digest food well giving rise to food intolerance, which goes on to cause further inflammation and gut wall damage. 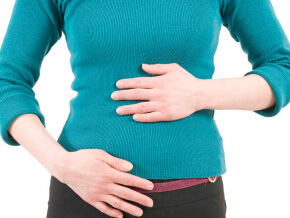 Symptomatic relief from bloating, pain, distention, wind, gas, discomfort and low energy can be achieved within a matter of days, while a plan is put in place to heal the root cause of gut disorders, so these symptoms don’t come back!